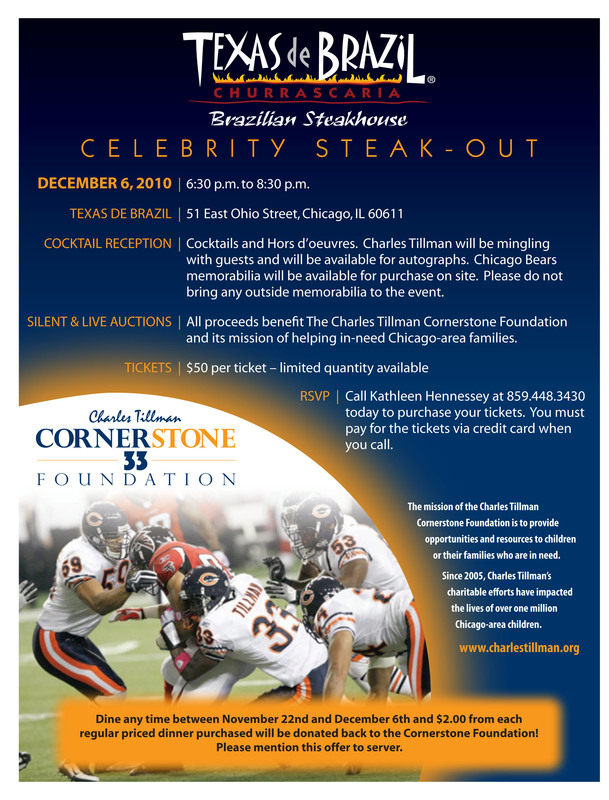 Join Charles Tillman's Celebrity Steak-Out at Texas de Brazil on December 6th! You’re invited to Charles Tillman's Celebrity Steak-Out at Texas de Brazil on December 6th from 6:30 p.m. until 8:30 p.m. Less than 100 tickets are still available, so reserve your spot today! To purchase tickets, please call Kathleen at 859.448.3430. You must purchase them via credit card when you call.